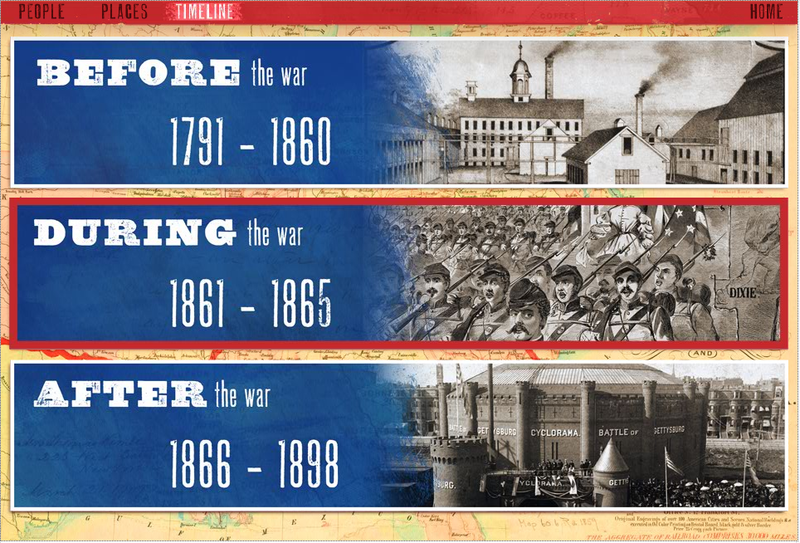 Torn in Two: 150th Anniversary of the Civil War, a virtual exhibit tour, is an exhibition developed by The Norman B. Leventhal Map Center. The exhibition showcases 50 historic maps interwoven with 40 photographs, paintings, prints, diaries, political cartoons, music and press of the period. 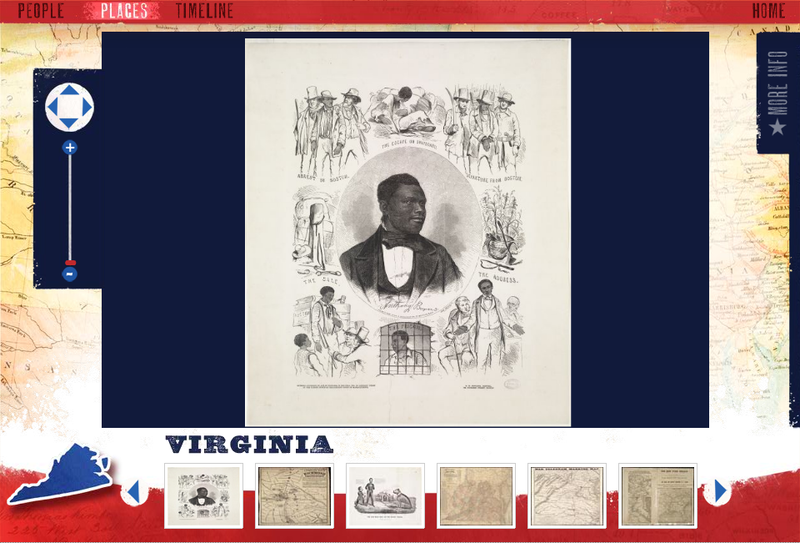 The Map Center asked FableVision to create an online virtual tour of the exhibition. The Studio developed a look and feel based on the exhibition's design. 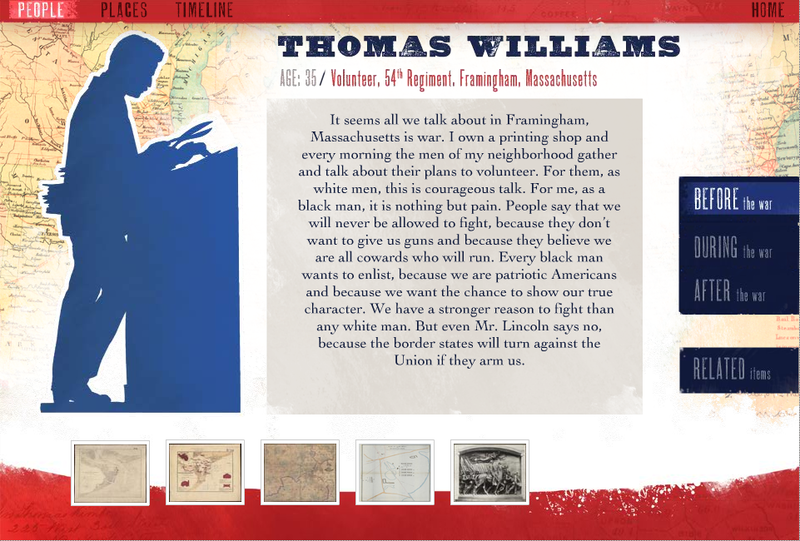 We also developed a navigation scheme for the virtual tour that provides more connections between the exhibition elements than could be presented in the physical exhibit.